[Editor’s Note] On September 26, 1930, a mob of several thousand Jews gathered outside the Mograbi Theatre in Tel-Aviv to protest the first feature-length Yiddish-language talkie movie, Mayn Yidishe Mame (“My Jewish Mother”), starring Seymour Rexite. The “Army for the Defense of the Hebrew Language,” broke into the theatre to throw ink at the screen and smoke bombs at unsuspecting movie-goers. Many attendees refused to leave the theatre until the credits rolled. though Tel Aviv’s gone mad for them. real theatre, or a radio recital or opera. the Torah, I.L Peretz, or Sholem Aleichem. An intellectual? Hardly! A cobbler. swarm into a howling wolf pack. at their masters’ hands, and feet. though who knows if those stories are true. to continue my stroll in a quieter precinct. Robert Cooperman is the author of 17 poetry collections, most recently City Hat Frame Factory (Aldrich Press) and Draft Board Blues (FutureCycle). 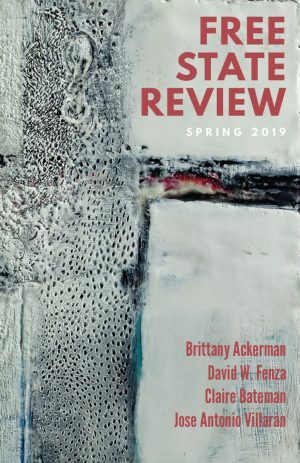 Cooperman’s work has appeared previously in Free State Review, as well as The Sewanee Review, North American Review, and Mississippi Review. Fascinating! How does “Free State” find these treasures? Mr. Warner, I presume. And what a shot of one handsome actor! Thank you.